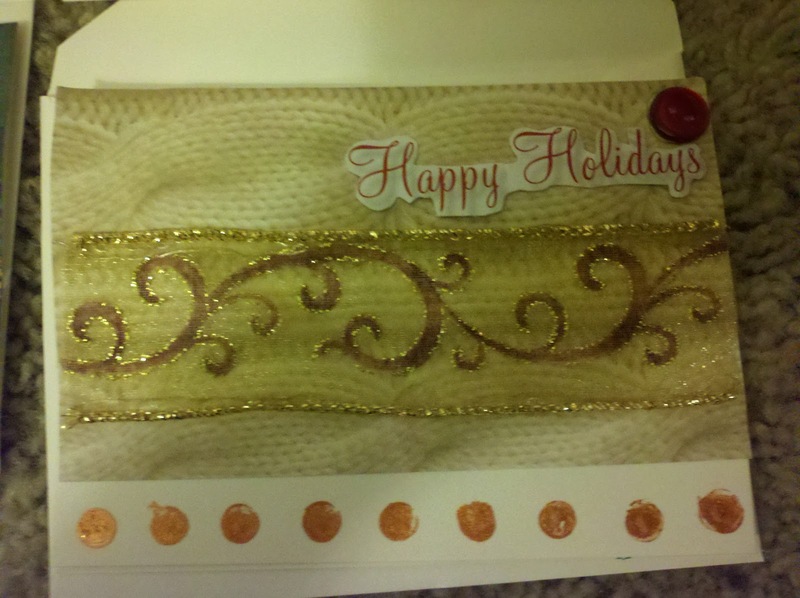 You guys, I decided to MAKE my holiday cards this year. 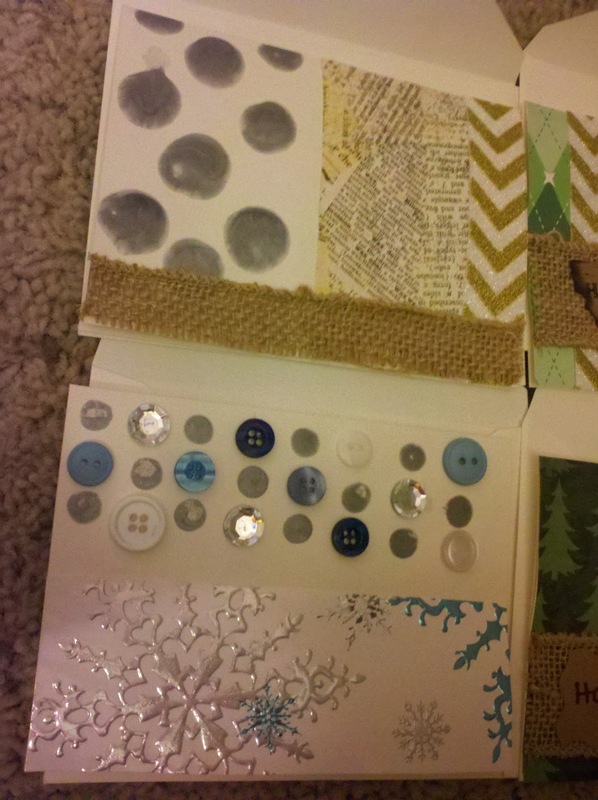 Like, start with blank cardstock and a pile of crafting materials, make them. It was quite a bit of work, but they turned out so cute! 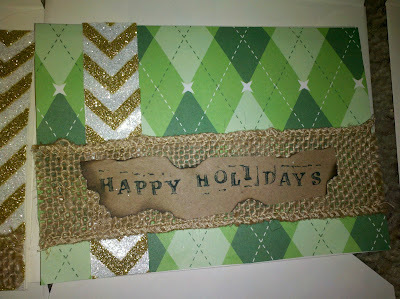 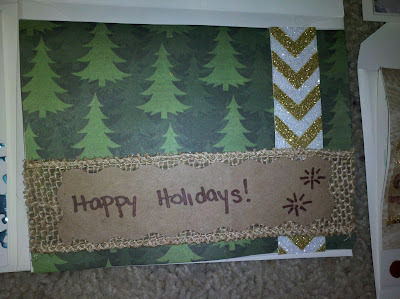 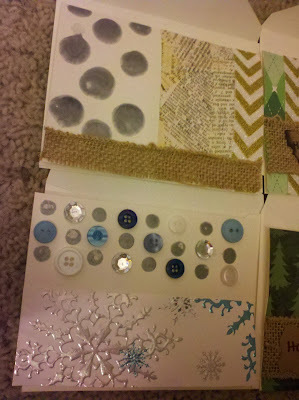 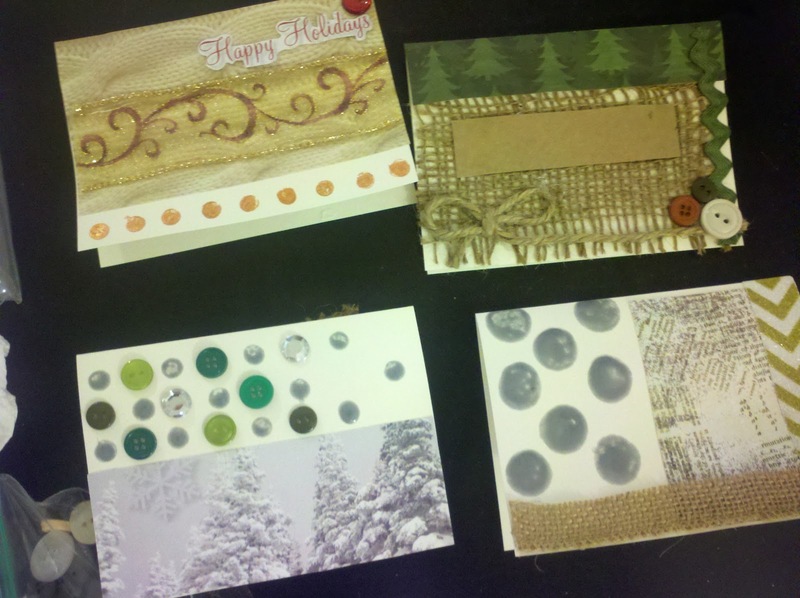 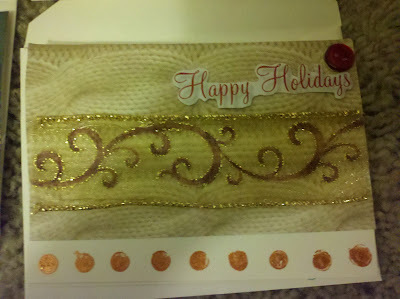 I used buttons, rhinestones, metallic paint, burlap, twine, ribbon, scrapbook paper, pieces of old holiday cards, and Chevron print glitter tape adhesive ribbon. 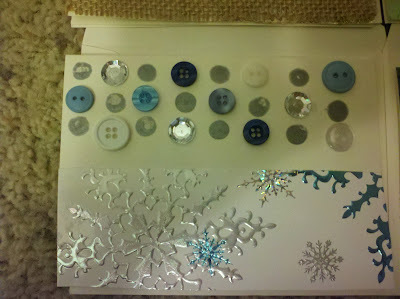 Plus Elmer's Glue and hot glue. 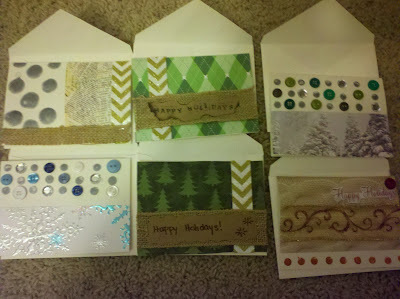 And went to town creating my own layouts and design ideas. 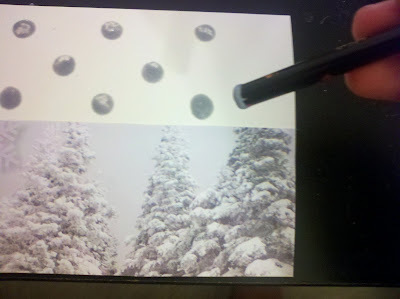 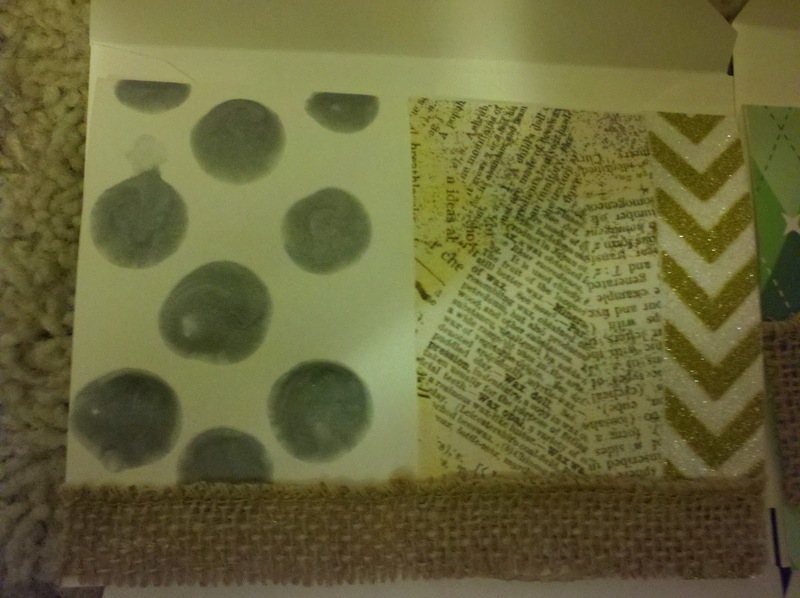 I used the end of a pencil, and a wine cork to do the painted dots.